Black Friday might be a huge day for Yeezy Boosts. It's looking like adidas has big Yeezy Boost plans for Black Friday, 2016. According to leaker account @TheYeezyMafia, the brand has three releases of the adidas Yeezy 350 Boost V2 set to release on Friday, Nov. 25. 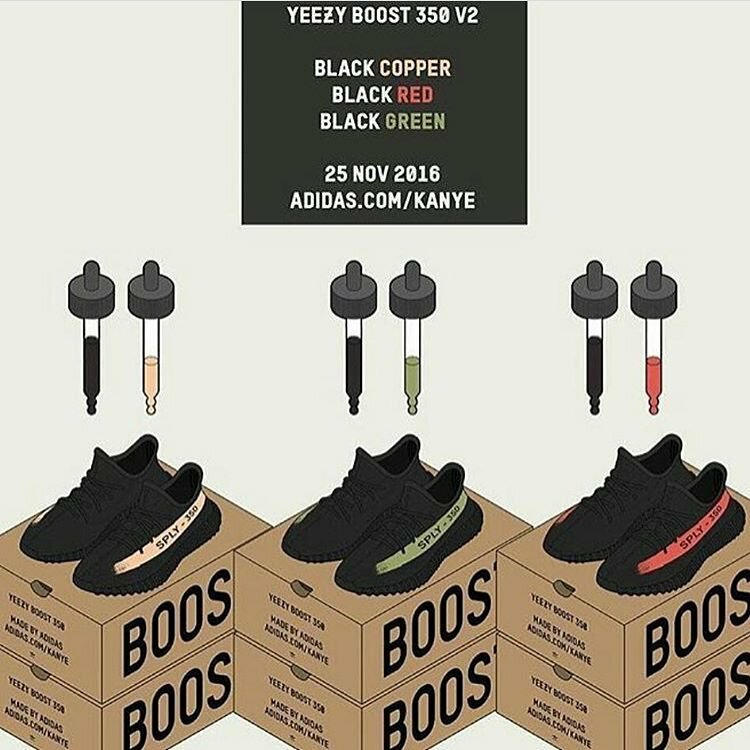 Pictured above are the three colorways of the sneaker purported to release on Black Friday. The V2 releases differ quite a bit from the first one, using black bases instead of the striped grey one. Note that adidas Yeezy Boost release dates have been very shaky, so don't be surprised if these plans change come November. That being said, import data for adidas has three entries matching the style numbers listed here, suggesting that a release is coming relatively soon. Kanye West has recently been spotted in a handful of unreleased Yeezy 350 Boost V2s, although none of these have appeared on his feet just yet.